Salisbury Park Drive, looking east towards Carman Avenue. Check out all the action on Salisbury Park Drive. 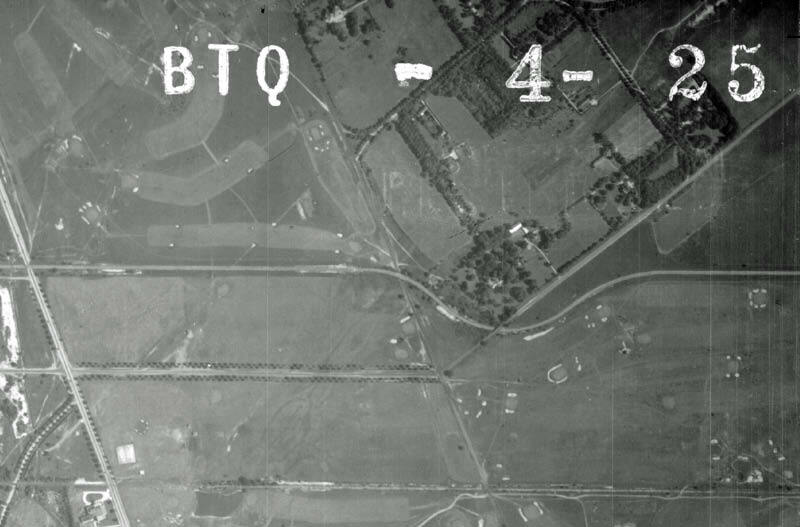 Congratulations to Joe Oesterle, Frank Scotty, Greg Oreiro, Jim Waechtler, Brian McCarthy, and Michael LaBarbera for correctly solving this very difficult Mystery Foto. The view looking west from the Carman Avenue Motor Parkway Bridge. 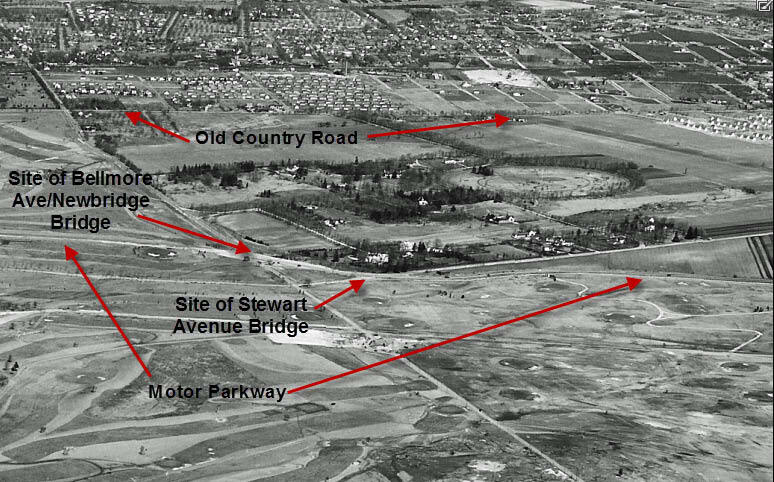 The Motor Parkway here would become Salisbury Park Drive..one of the few sections of the parkway that would become a public road in Nassau County. Another view of the Mystery Foto section of the Motor Parkway looking west. The ever-present Landeburg Farm windmill can be seen in the background. 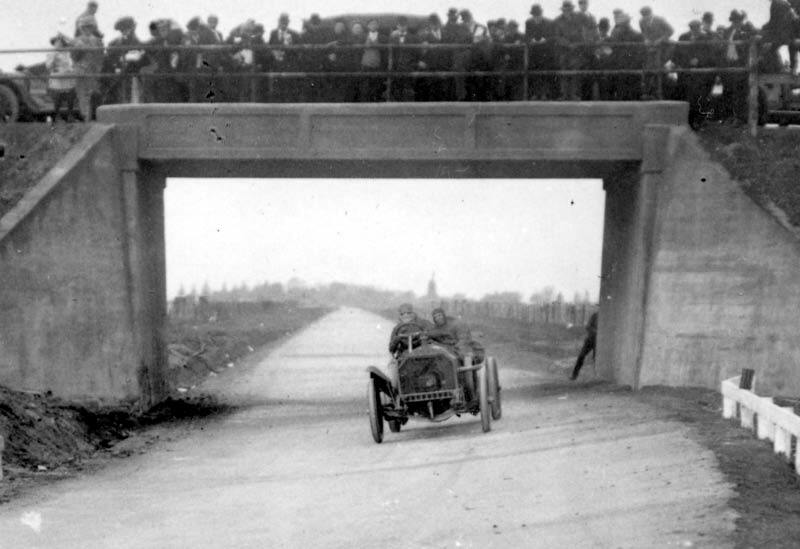 Three Vanderbilt Cup Races from 1908 to 1910 were run on the "Salisbury Plains Road" section of the Motor Parkway. 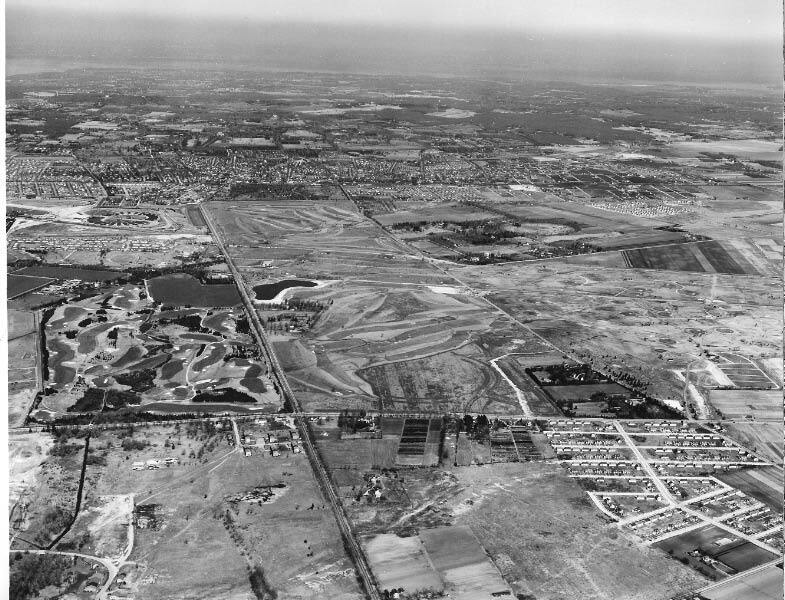 Salisbury Links can be seen to the south of the Motor Parkway. View looking east from Meadowbrook Polo Field. Stewart Avenue is on the right. View looking east towards Carman Avenue. Homes on Salisbury Park Drive still benefit from an extra 25 feet from the Motor Parkway right-of way. 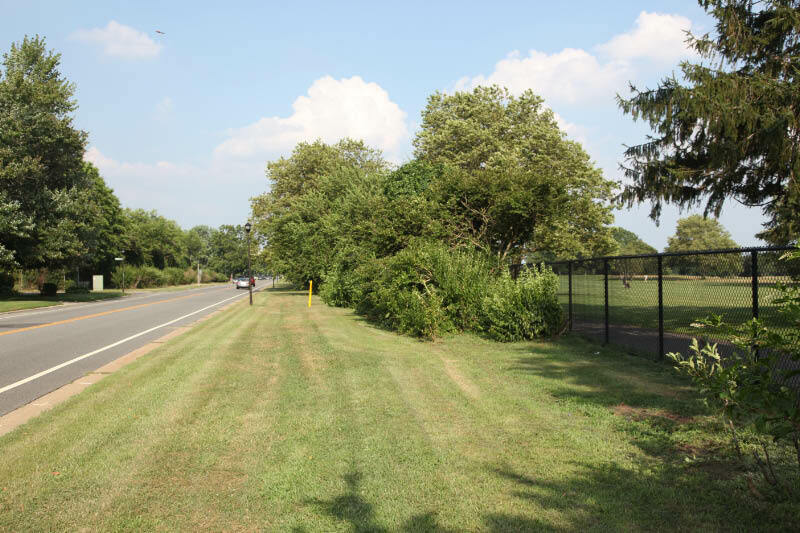 Amazingly, this area is the planned future demonstration project for the Motor Parkway Trail. Construction is currently scheduled to begin in the Fall 2013. One additional bit of Salisbury trivia: From 1887 to 1892, Salisbury Park Drive was the home of Teddy Roosevelt's brother Elliott Roosevelt, Sr. and his wife Anna. 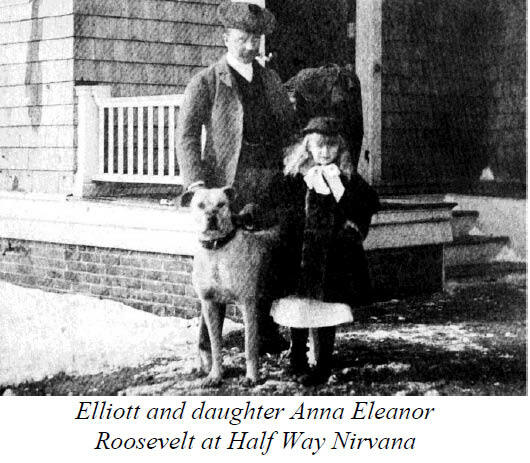 From the age of 4 to 8 years, it was the home of their daughter (Anna) Eleanor Roosevelt, the future wife of her distant cousin Franklin Delano Roosevelt. When her mother died in 1892, Eleanor went to live with her grandmother. Her father died two years later. East Meadow Herald "Who are these men on Salisbury Park Drive? " I don’t have much to go on. Straight away. Park to the side. 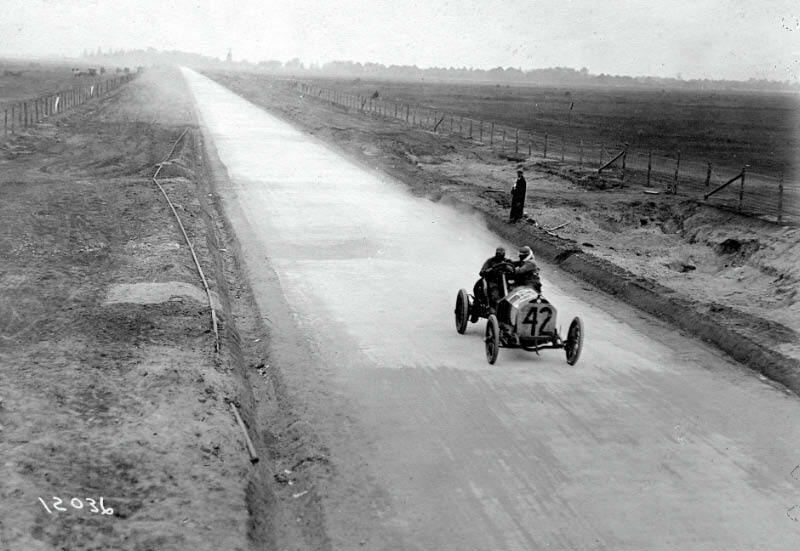 Car’s using the parkway road even thought it is probably after 1938. My answer…. Carmen Ave, next to Eisenhower Park. Approx 1940’s. Don’t recognize the location. Approximate year of photo: 1935. I think it is what is now Salisbury Park Drive in East Meadow in the 1940s, with Eisenhower Park behind the fence. I’m pretty much stumped on this one! Good one Al! 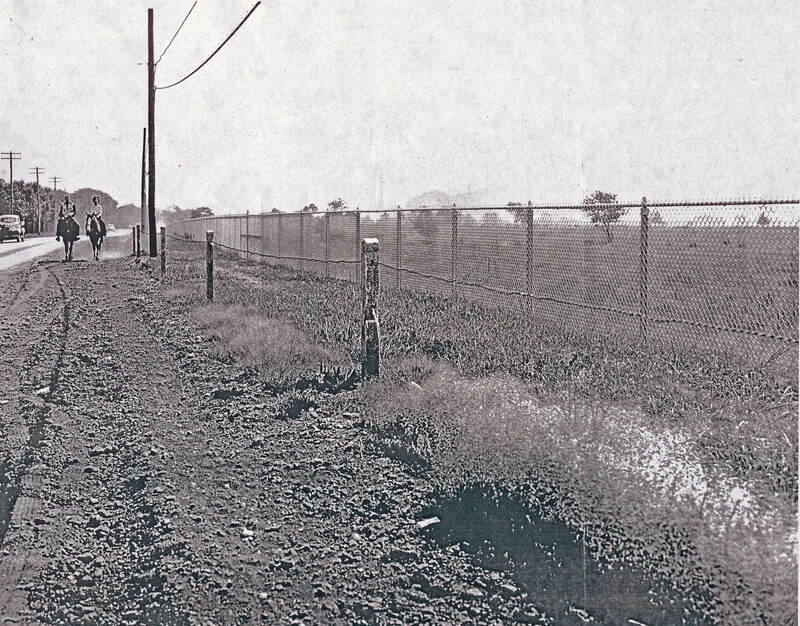 I’m probably wrong, but going with my best guess as it being what is now Salisbury Park Drive looking East towards Carman Ave, since that looks like Eisenhower Park’s chain link fence on the right. Judging by the vehicles, the man’s clothing, and that there aren’t homes on the left side of the photo yet, I’ll put the year somewhere between 1950-1955. 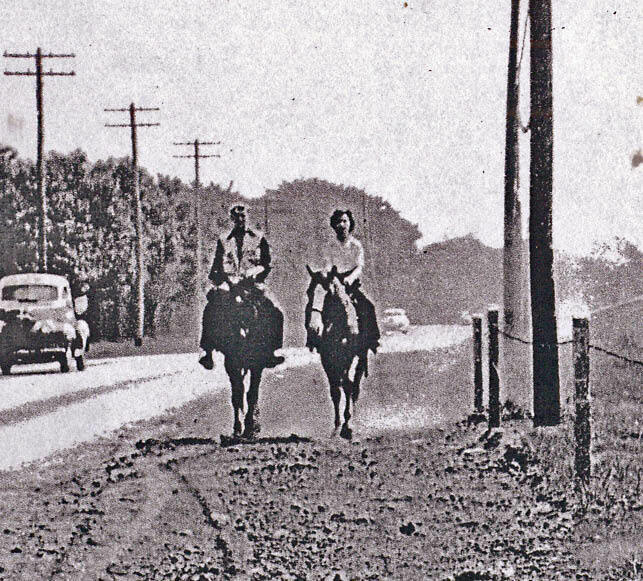 I really like this photo, the couple on horseback gives it character. This area reminds me of Salisbury Park Drive, with Eisenhower Park south of the fence line. So this is a east view of the LIMP in East Meadow ( automobiles traveling west ). It’s probably later than 1938, 1940? If this was still actively the LIMP, I don’t think horseback riding would be allowed on the ROW. And this section wasn’t really abandoned, eventually becoming part of the road system. 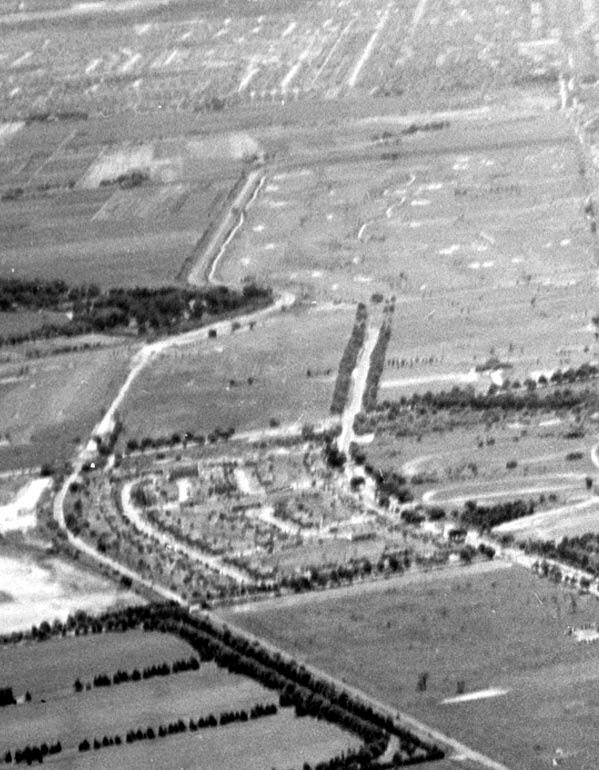 Salisbury Park Drive looking east with Eisenhower Park on the right in the late 30s before housing developments. Love the mystery fotos! 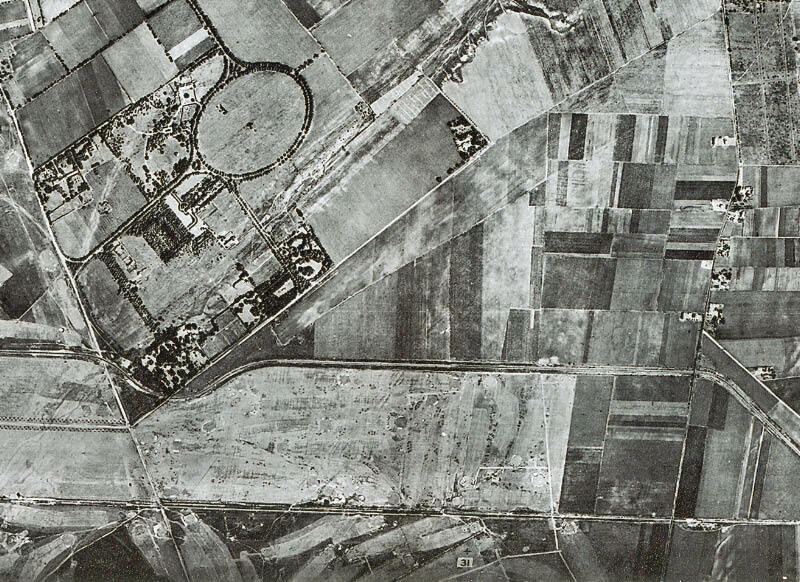 Though there are just few clues to go on here, (another good mystery foto! ), my best guess on location would be Bagatelle Rd looking south in Wheatley Heights, north of Sorrel Hill Court, on the straightaway. Main deciding factors were the elevated LIMP over the fence, the 2 different style telephone poles on opposite sides of Bagatelle Rd that are still there today, and I think I’m barely looking at a main grid tower in the hazy sky in the distance, located over the closest concrete post in the foreground. 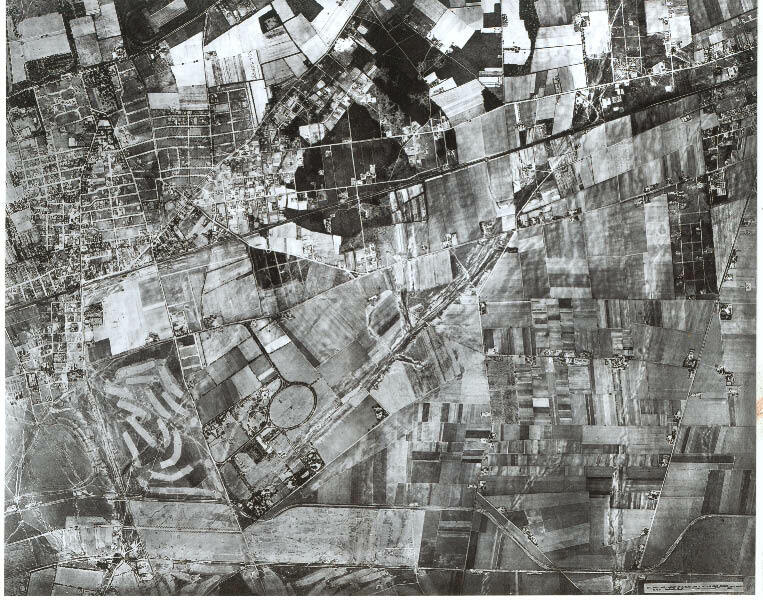 That would place the east-west main grid pretty close to where it is still located today. It’s possible this area was once subject to equestrian traffic trespassing on the LIMP, that ugly fence on the right to keep them out. 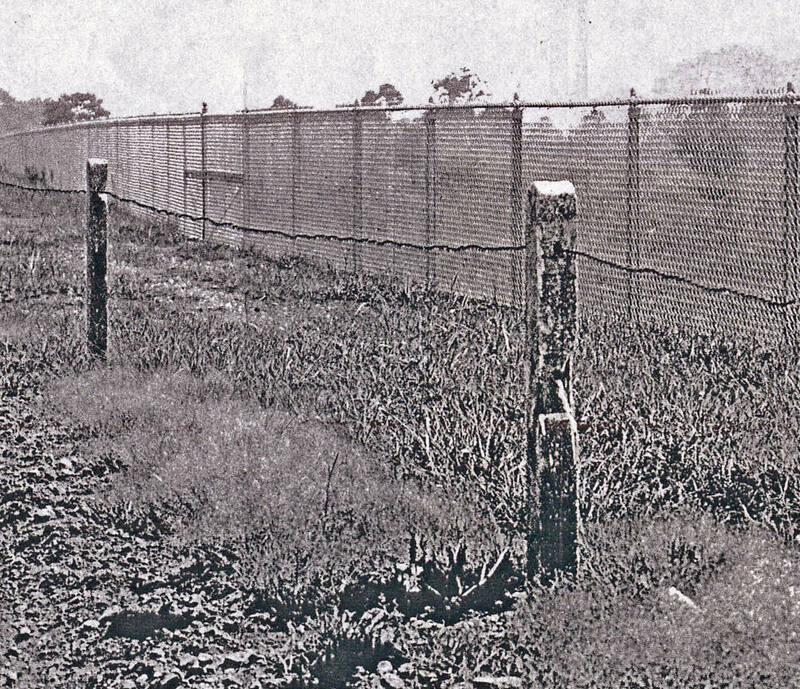 The fence was installed sometime after the original dirty posts. 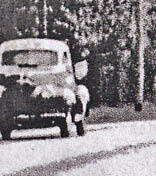 The vehicle on the road looks like early 50s. Every picture tells a story. Can’t wait for this week’s answer to the riddle. Keep ‘em coming. Wow - I spent a few minutes looking at this one and gave up never thinking the location is nearly in my backyard!!! And my home (at least the land my home is on) is in many of the photos of the area you showed. Next time I’m on Salisbury Park Drive (which will be tomorrow) I’ll be looking for a couple on horseback and will ask to take a “now” photo. By the way, only a couple of post remnants remain, but closer to Newbridge Road. 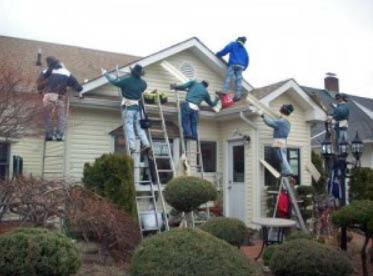 And those men on the house on Salisbury Park Drive in the last photo returned a few summers ago for some additional repair work. They were there for a while but not anymore. Keep those photos coming! With utility poles on both sides I would think this to be Carmen ave next to the park?